Collaborations are always great as the ideas of two creative minds mesh to make one awesome product. Well style wasn’t the only idea behind this design union. The band Depeche Mode and watch maker Hublot teamed up to create the Big Bang Depeche Mode watch. Aside from being stylish and cool, the watch will benefit the movement to bring safe drinking water to developing countries. 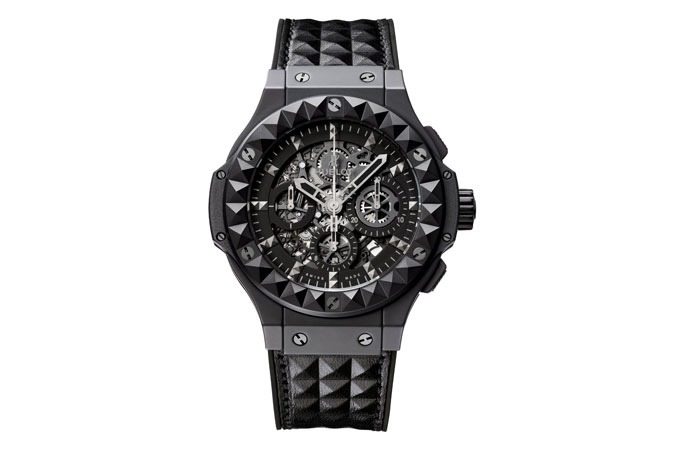 The Big Bang watch is a stunning black porcelain design with a black heat-moulded calfskin band. The sapphire crystal covers the interior that is made up of 257 components and a power reserve of 42 hours. The case back is signatured with “Depeche Mode” and “Charity: water”.